Discussion in 'Chicken Behaviors and Egglaying' started by Dawn419, Oct 24, 2007. One of our Bantam Mottled Cochin gals decided to go broody a few days ago. I did my research and have been moving her off the nest (several times a day, everyday), making sure to keep the eggs laid collected, even removed the golfballs from the nest boxes to keep her from "hatching" them out as she sure was trying hard. None of the above has helped so I will be moving a Ware rabbit hutch into the main run as soon as Skip gets home this evening. 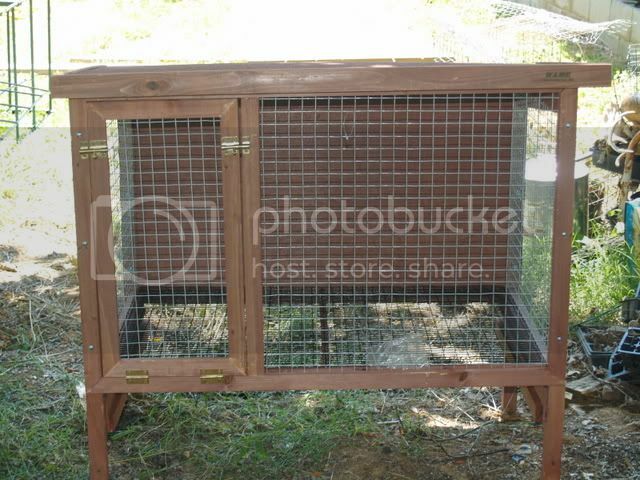 The floor of the hutch is 1/2" by 1" coated wire. Will this be okay or should I use a smaller mesh for the floor? 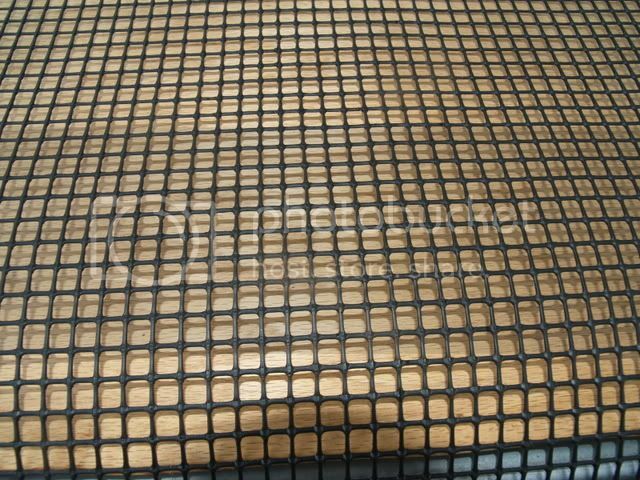 We just bought a roll of plastic landscape netting, which is like plastic canvas on steroids, with 1/4" by 1/4" mesh. I have containers ready for her food and water. The only question left at this point is should I move her as soon as we set up this cage for her tonight? Thanks in advance...off to do more prep work for the golfball hatchin' biddy! WooHoo! Skip got home from work early so we were able to get the hutch moved into the main run before it got totally dark on us. I went ahead and moved her right in. Skip was worried she might put up a fuss when I tried to move her...think he was surprised at her zombified state (I'd told him about it but this was his first time seeing it). I put in a short section of 2 by 4 for her to roost on, and to give her feet a break from the wire. She's not a happy camper at all since being removed from the nest and landing in jail. The squawk she let out when the first cool breeze hit her bum was hilarious. I worry that they all have complexes because I do spend alot of time laughing at them! Here's a pic of Geezer, my fave EE roo, telling her that things would be better in the morning! I'll let her out with everyone for awhile tomorrow and go from there with this fun! Wish me luck! Hello, what a shame to waste a broody!!!! I love it when mine go broody, i get some eggs in for them to hatch when i havent got a roo!!! Anyhow, just make sure she isnt in the dark and that the air can get under her!!! It may take a couple of days in there. My silkies where the longest broodies to snap. I have a small 2 foot cage (jail) for this purpose, for when they cannot be allowed. My reasons for not letting her stay broody at this time is because the days are getting shorter here and cold weather isn't far off, and because we don't have all the breeds seperated yet. Although it would be interesting to see what we'd come up with since we have EE's, Mottled Cochins, Black Tailed Buff Japs, Silver Sebrights and 1 Silver Spangled Hamburg all together in the main run. P.S. I've always dreamed of a summer home in TN and a winter home in Australia...I can't stand cold weather! well you are welcome to come and stay here, in fact any of you lovely chicken people always have a place to stay downunder!!!! Well, Goofball, as we've dubbed her, got out of chicken jail last night. We watched the weather on the news and they were calling for scattered frost and a low of 34. I let the dog in around midnight, it was down to 36 degrees F and I felt sorry for her being all alone in jail. Put her in the coop with everyone so she'd be warm and decided to see where it went from there. Good news when I checked on her this morning...she's not hanging out in the nest box! Thats great, perhaps her instincts have kicked in and she knows that the babies would get cold!! What if we don't have a wire cage? Any ideas? Maybe we could drop her off at your jail Dawn? If she is that vicious, wear leather gloves. Some of them can hurt. If you don't have an elevated wire-bottomed cage, try locking her up in anything where she cannot get to anything that looks like a nest, her old one or any other. If you can make it kind of in the light, that seems to help, but the main thing is to confine her where she cannot continue to sit on a nest. 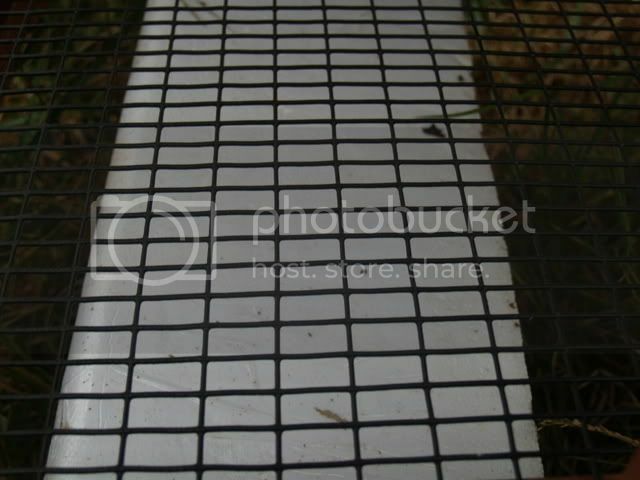 Make sure it is predator proof and keep her there two or three days with food and water before you release her. Some are easy to break and some are real hard.